The leaves AND flowers are edible. Young leaves are delicious added to soups, sauces and pesto. The leaves are starting to appear right now and are best picked when they are young. The flowers will start to appear from April (through to June) and can be added to give salads a more interesting look than plain green leaves and they give salads a wonderful garlicky taste! 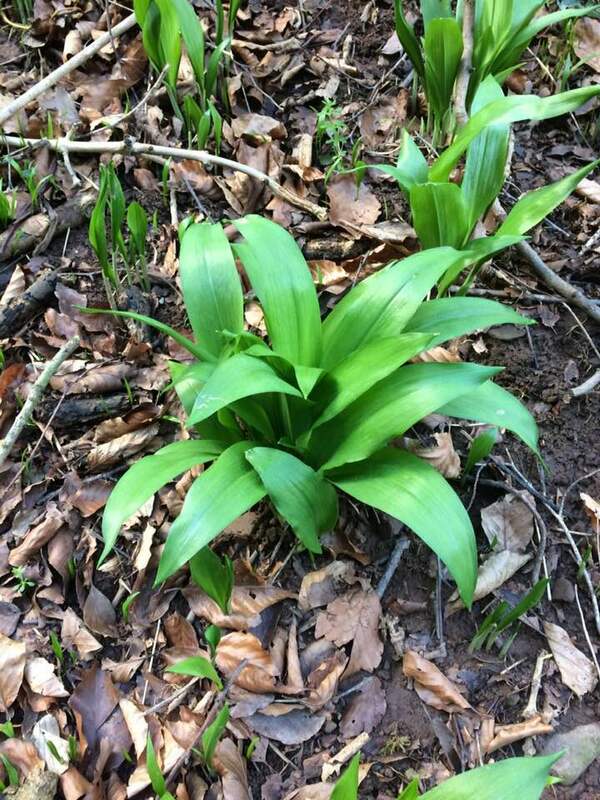 Wild Garlic is also great as a spring tonic due to its blood-purifying properties, and may even lower cholesterol and blood-pressure. Once you’ve picked a good bunch, then what else to do with it? Wild Garlic pesto is my favourite. It is tasty and very, very easy to make. Simply wash the leaves and pat dry, then whizz up in a food processor with a handful of walnuts and some olive oil to make a thick paste. Finally, amix in some grated parmesan. The amounts of each can be varied to suit your taste. Give it a go. Always be sure you are sure of the plant before you pick it and never eat any plant you are unsure of. Leave plenty behind for wildlife.